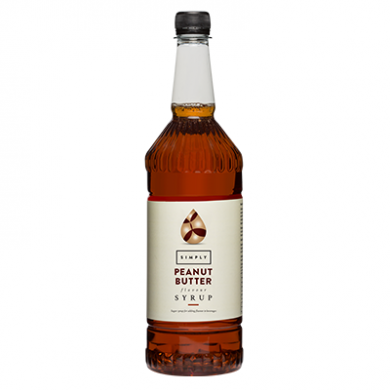 This simply peanut butter syrup is rich flavoured and will enhance your drinking experience whether it is coffee, hot chocolate, cocktail, smoothie, cappuccino or you can use it as a classic ingredient for desserts. The Simply syrup range are suitable for use by vegetarians and are certified by the Vegetarian Society. They are also HMC Halal certified. Sugar, Water, Glycerine, Flavouring, Salt, Preservative E202, Citric acid. Store in dry, cool ambient conditions, away from heat sources and odorous materials. After opening, keep container closed. Keep cap area clean and free from syrup residues. Do not refrigerate – crystals may form in the liquid at low temperature. Shelf life after opening 12 months. 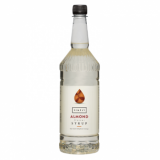 We recommend a dose of approx 10-15 ml syrup as a good starting point for experimenting with syrup flavourings. You can vary the amount used based on personal taste. If you are using the Simply branded bottle pumps, each depression will dispense 10ml of syrup.